QUOTE TO INSPIRE: “No matter how tough things may be or how difficult the challenges are, NEVER give up. Dig deep within yourself and find that one thing worth fighting for and focus on that during the tough times… Surround yourself with positive people who will encourage and support you through whatever is thrown your way but more importantly, pay it forward.” – Jim M., an inspired runner. 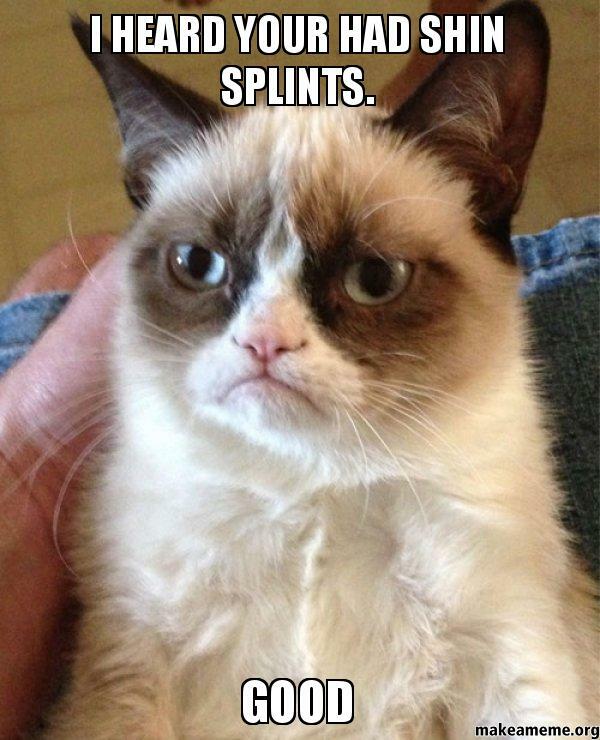 My shin splints have returned for an extended and unwelcomed visit. I’m beginning to question my ability to put in the required mileage needed to complete the full marathon next month. I expected shin splints to develop because I had jumped up so quickly in my miles after the century ride and triathlon. I hadn’t had a chance to put in any long runs over these last few months. My longest run to date has been 10 miles and that just won’t do. I am genuinely concerned. I’m going to play it safe these next two weeks and continue my training the way Coach Sandy taught me in the Spring of this year while dealing with shin splints and make my decision then. Until then… if you’re the praying type, would you please keep me in them and ask for wisdom and strength? I’d appreciate it. Luckily I’ve been inspired regularly by people around me who just recently completed their first Ironman, raced in the NY Marathon, completed their first Triathlon this last weekend and will soon complete their first 1/2 marathon and full marathon this next weekend in San Antonio. With so many amigos doing so many courageous feats around me… how can I sit back and give up???? I know shin splints need to be addressed but I cannot allow them to become an excuse. This entry was posted on November 12, 2013 at 3:14 am and is filed under Uncategorized with tags i wear orange, marathon, mcallen marathon, Mimi's Miles, race, racing, rock & roll marathon, run, run for cancer, run on purpose, run with purpose, running, shin splints, Team in Training, tnt. You can follow any responses to this entry through the RSS 2.0 feed. You can leave a response, or trackback from your own site.